NFF president Amaju Pinnick has disclosed he has directed that a grant of $60,000 recently received from the Confederation of African Football (CAF) be used to clear the unpaid salaries of Nigeria Olympic team coach Samson Siasia and his assistants. 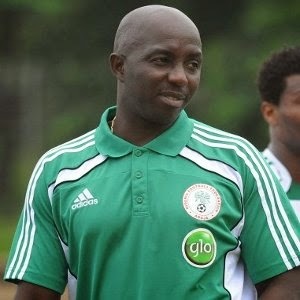 Before the Olympics in Rio, Siasia told the media he has not received his salary for five months. It has also been revealed that the coach threatened to quit his post after the team’s win over Sweden in Manaus on Monday and had to be begged by his players led by Chelsea star Mikel Obi to rescind this decision. “I have directed the secretariat that the $60,000 we received from CAF be used immediately to pay the U23 team coaches,” Pinnick revealed on a YouTube interview. The NFF boss admitted the federation is “financially challenged”. He said the past NFF administration led by Aminu Maigari left his board with “an obscene amount of debts”.